There are some common mistakes pedestrians make that often put themselves at risk of an accident. In July, a female pedestrian crossing Manchester Road was killed by a car making a turn. Unfortunately, this was just one of the several pedestrian deaths reported this year. When you are the driver of a car that hits and kills a pedestrians, you will likely be liable for the resulting injuries. It may not matter that the pedestrian was somewhat at fault, it is your duty as a driver to exercise caution and do everything possible to protect pedestrians. When you are the pedestrian, you should be aware of the risks posed by cars and take precautions. In this post, our St. Louis car accident lawyer will discuss the common mistakes pedestrians make on the road. Standing on the shoulder of the road: Such accidents are often quite serious because often the pedestrian who suffers injuries is a good Samaritan helping a person whose vehicle has broken down. When you are driving on a highway and you come across a car on the side, you should move to the far lane to allow plenty of space for the people who may be around the vehicle. If you cannot move, try to focus on the road ahead and not on the broken down vehicle. Walking while intoxicated: It is not uncommon to see intoxicated pedestrians wandering on the streets. Pedestrians should understand that they should stick to crosswalks no matter what, and as a driver you should always lookout for drunk people stumbling into the street particularly when you are around night clubs and restaurants. Distracted walking: We often come across people texting and walking or speaking on their phone while crossing a street. These pedestrians may step in front of a car, ignore a “Don’t walk” sign or fail to notice a car backing up. It is important that pedestrians be extra cautious when walking through busy areas, and drivers should also be aware that some pedestrians may not be paying attention and watch out for them. Children running into streets: When driving through a residential area, it is the duty of a driver to go slow and watch out for children who may dart into the street. Kids will be kids, so as an adult it is the duty of the driver to be extra vigilant when driving through residential areas, particularly around parks. 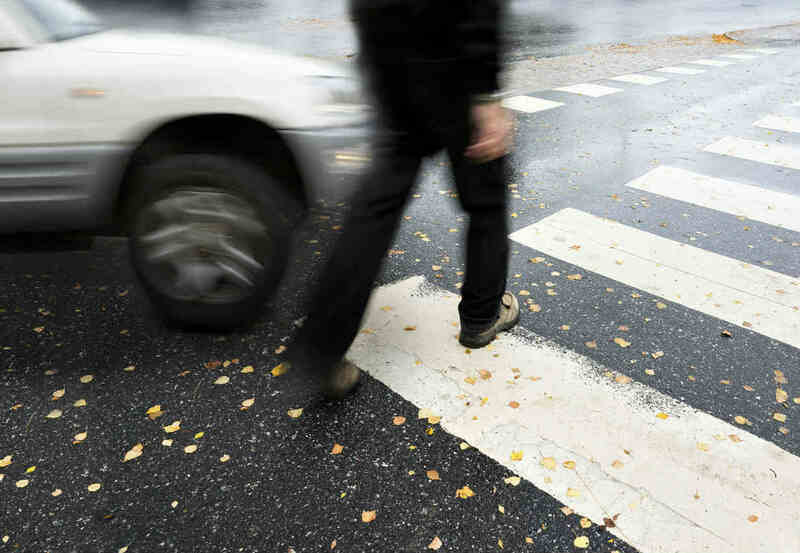 Involved in a St. Louis pedestrian car accident? If you have been involved in a pedestrian accident, it is in your best interests to speak with an experienced St. Louis car accident attorney as soon as possible. At The Hoffmann Law Firm, L.L.C. we have a proven track record of helping St. Louis injury victims obtain the compensation they deserved after an accident. Give us a call 24/7 at (314) 361-4242 to schedule a FREE consultation.